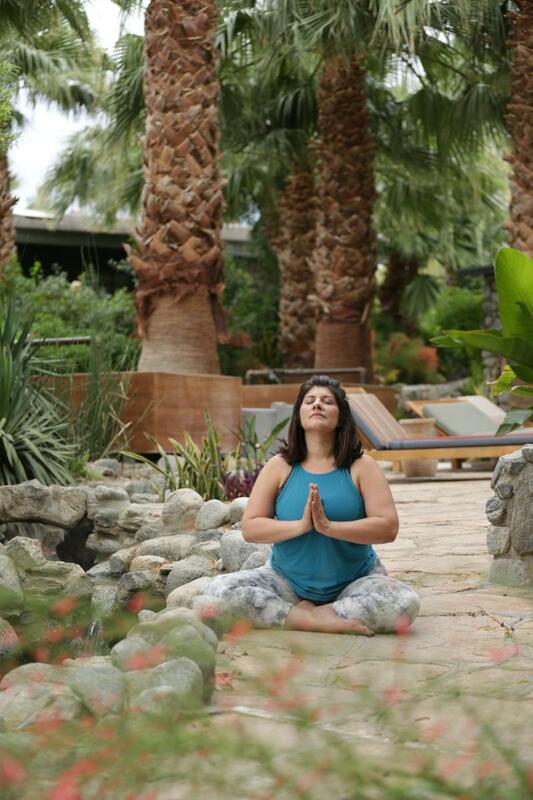 If fitness is a priority when you travel, Greater Palm Springs is sure to keep you moving with no shortage of gyms, studios and activities that welcome both locals and travelers alike. Take a look at these suggestions for an active trip that also delivers scenery, excitement, healthy cuisine and the opportunity to meet some really great locals. Start your day off at Next Level Fitness for a great early morning circuit training workout with other motivated people. Owners Casey and Gerry Washack have created a popular, high energy gym and classes fill up fast. They use battle ropes, sleds, punching bags, TRX trainers, free weights and lots of enthusiasm. You can work out indoors or outdoors depending on the time of year. After your workout, stop next door at Fresh Juice and grab something healthy to go. 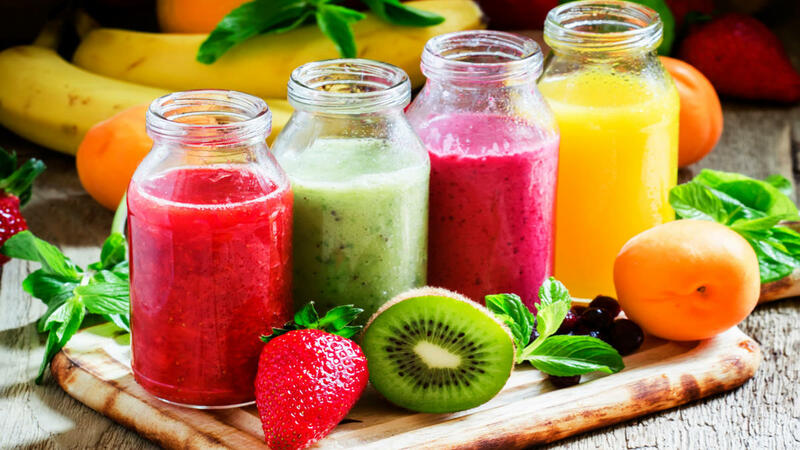 This organic juice bar offers freshly prepared-to-order smoothies, raw juices, pitaya bowls, Paleo snacks, organic wraps, protein bars and more. Next, head to the La Quinta Cove and take a hike on the popular Cove to Lake Trail. The trailhead is located at the top of Avenida Bermudas and the trail is enjoyable and rated easy. It’s 2.5 miles one way ending at Lake Cahuilla, so unless you leave a car at the lake first – or want to do 5 miles – only go half way. At the peak, you will enjoy the beauty of the mountains, the stunning (and private) Quarry golf course, and a bird’s eye view of La Quinta. You’re sure to meet a lot of nice people along your journey. After your hike, you’ll be ready for lunch. Head to Pokehana to satisfy your craving for protein with hand-crafted poke bowls, a quick and convenient way to enjoy fresh, healthy food made to fit your lifestyle. While standing in line, you go station-to-station to pick out what you want in your bowl. Every food item is fresh and delicious, and you’ll want to go back for more. It’s a friendly environment with plenty of seating. When the sun goes down and you’re looking for more activity, head to the Indio Golf Course and try playing golf under the lights. Rates are very reasonable and it’s a great way to spend the evening. You can make it even more fun by using golf balls that glow in the dark. Play at your own pace; lights stay on until 10 p.m.
Start your second day with a workout at Kinetix Health and Performance Center. Our 8,000 square foot health and wellness facility features state of the art fitness equipment, nationally credentialed strength coaches and a boot camp that will be sure to test your stamina. After your workout, try our cryotherapy chamber to re-energize from head to toe, or relax in our far-infrared sauna. For lunch, enjoy an organic meal at Luscious Lorraine’s, a local’s favorite. Chef Lorraine has a passion for creating delicious, fresh whole foods and beverages and has been doing just that with integrity since 1999. They offer a wonderful breakfast consisting of burritos, eggs and various healthy bowls, and their avocado toast is amazing! If you’re traveling with a group and want a leisurely afternoon, schedule a yoga class with Namaste with Shay and she’ll come to you! Gentle yoga will focus on stretching, breathing, and relaxation to increase the range of motion of major joints and get you ready for your next activity. It’s great for younger and older athletes alike as the mental grind of your game can affect your physical well-being. Shay has a passion for giving back to the community through her yoga, meditation and wellness services and has many fans locally. Now you’re limber and ready for the unique game of Footgolf at Desert Willow. This fun sport combines soccer and golf and uses a #5 soccer ball on a traditional golf course with 21” cups. Pace is at 2 hours for 18 holes and space can be limited depending on the time of year. It’s a fun event for the entire family or just with a buddy. End your eventful day with dinner at Denise DuBarry’s new Wildest Greens. Denise has created a quaint and comfortable dining experience to satisfy any nutritional lifestyle – Paleo, vegetarian, pescatarian, gluten-free, or none of the above. Try their kombucha on tap, or a local craft beer, along with a bowl of bone broth and custom quinoa bowl or bison burger. The extensive menu is sure to delight. When your adventure comes to an end, you’ll return home feeling fit with fond memories of not only the places you’ve visited, but also the wonderful people you’ve met along the way. Michael Butler is a certified trainer and performance enhancement specialist with distinction honors through the National Strength and Conditioning Association. He is the owner of Kinetix Health & Performance Center, has authored several books on fitness and is a regular contributor to Desert Health News. He can be reached at Michael@kinetixcenter.com.